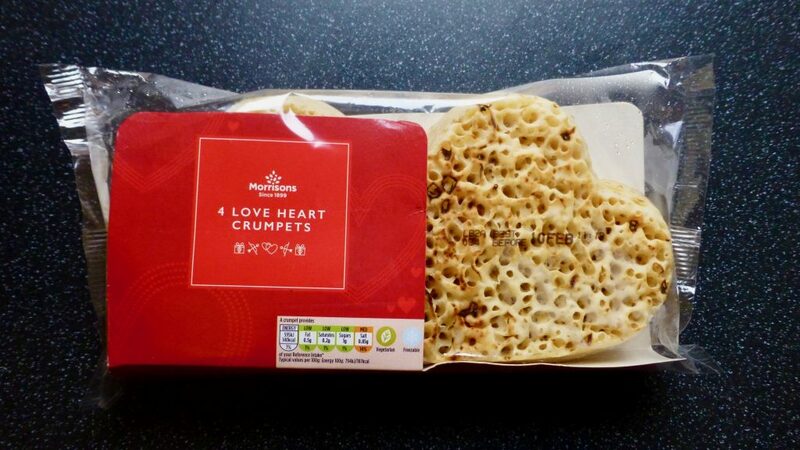 Valentine’s and heart shaped things go hand in hand and the very fact that we currently have Morrisons Love Heart Crumpets makes me very happy. 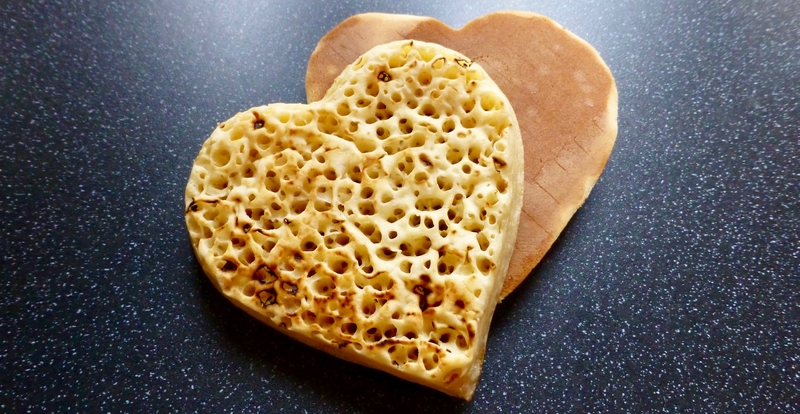 Not only am I an avid crumpet fan, I also love anything heat shaped, so this is clearly a match made in heaven. A pack of 4 cost £1.00 which is on par with a 6 pack of premium crumpets. The best before date was decent and these are veggie friendly and freezable if you want to stock up. I must admit the packet was deceiving because I thought these were going to be quite diddy and flat, but in actual fact they were pretty sizeable and covered most of my heart plate. Crumpets are a glorious thing to top with anything, but there was only one true love that was going on these beauties, and that of course was peanut butter. These crumpets were surprisingly thick and fluffy inside and had one of the better textures for crumpets that I have tasted before. Popped in the toaster for a few minutes and out it came with a nice crunchy toasty top that led to a soft light interior. Flavour wise they aren’t as flavoursome as the good old Warburtons but they were savoury, not too salty and were delightful with my peanut butter. What can I say, Morrisons you have surprised me. These aren’t up to a Warburtons or M&S flavour standard, but they are pretty darn delicious and novelty factor aside I highly enjoyed them. Whether it be a component to breakfast in bed on Valentine’s Day, or like me you just want everything heart shaped, pop these on your shopping list pronto. Nice review! I’m now dying for a good crumpet – butter dripping through the air pockets! Yum. Is it just me, or has Morrisons gone a little designery on their packaging? I don’t remember their artwork looking so neat before. Reminds me a bit of Marks & Spencer!